The high efficiency of these Mitshubishi Mr. 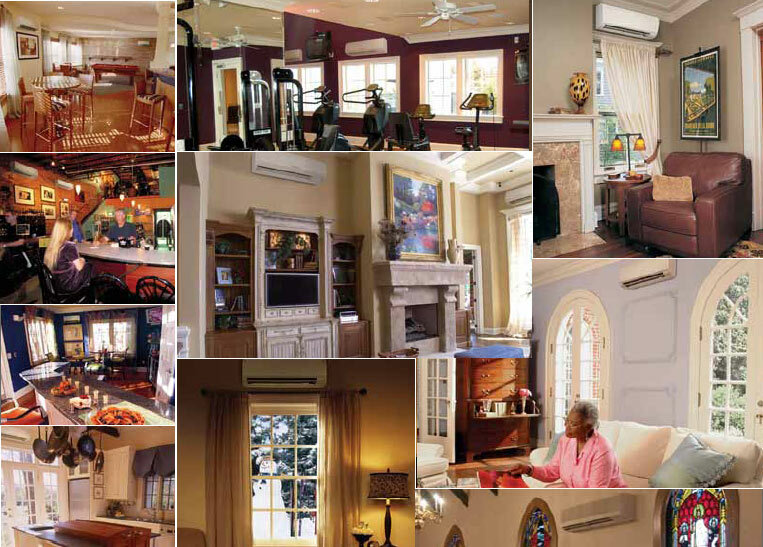 Slim Mini Split Ductless Systems like MSZD36NA+MUZD36NA helps them pay for hemselves by slashing electrical costs. Strong, quiet and efficient DC motors are used both indoors and outdoors. This Mitsubishi's Super High-SEER mini-split heat pump will provide you with 32,000 BTU of heating for winter and 3 ton of cooling for hot summer and it comes with 1-MSZD36NA wall mounted 32,000 BTU unit with wireless remote control. 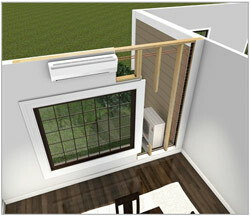 This unit are connected to the modern MUZD36NA - up to 32,000 BTU outdoor condensing unit. 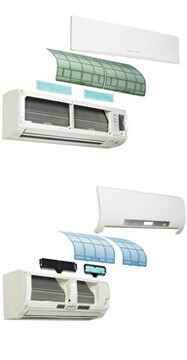 Complete system creat the perfect clymate control for your space. High performance fan blades, condensers and evaporators Combined with variable speed inverter-driven compressors makes for unmatched performance. Variable speed compressors automatically adjust to fluctuating room capacity requirements. Since mini splits have little-to-no ducting, they forego those energy losses typically associated central forced-air systems. Duct losses can easily account for more than 30% of energy consumption, especially if the ducts are not sealed tight or in an unconditioned space such as an attic or crawlspace. With ratings as high as 19-SEER (Seasonal Energy Efficiency Ratio), systems MSZGA24NA+MUZGA24NA and MSZD36NA+MUZD36NA are among the highest rated efficiency equipment available anywhere!